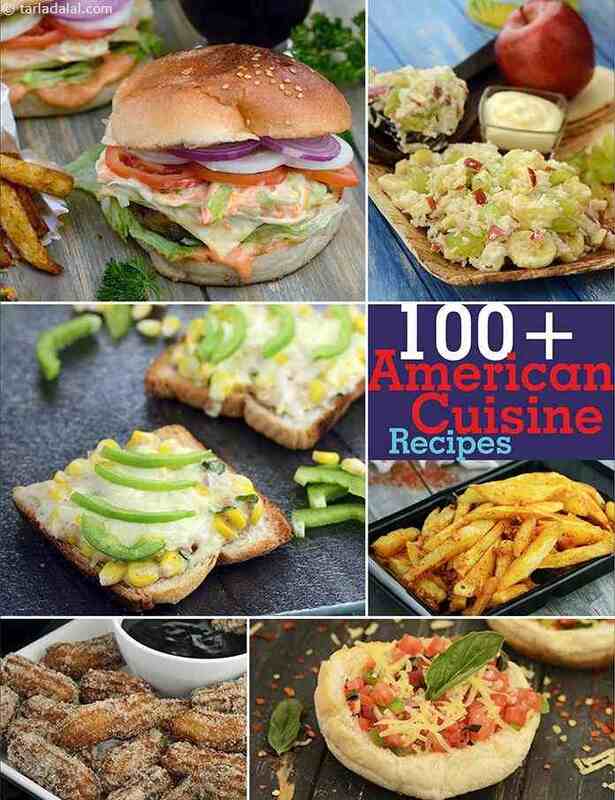 American recipes : Tarladalal.com, India's Largest Food Site. America is a melting pot of cultures, and American cuisine is like that too. It adopts best practices from around the world, but still has a unique flair that distinguishes it from other cuisines. Americans use a lot of cheese and bread, and love to have sandwiches, wraps and burritos, which are convenient to have on-the-go. Burgers and smoothies too are classic examples of all-time favourite American snacks.